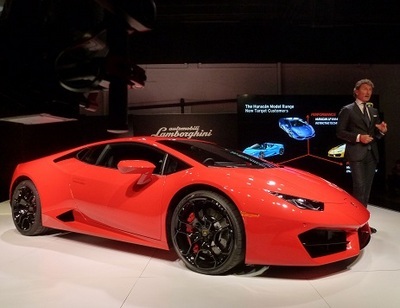 At the recent Los Angeles Auto Show media previews my Netherlands-based colleague Henny Hemmes was at the exclusive reveal of this new Lambo. You can read her thoughts on this new 572HP Italian exotic right here. This entry was posted in auto shows, automobiles, new car review, performance cars, two-seaters. Bookmark the permalink.